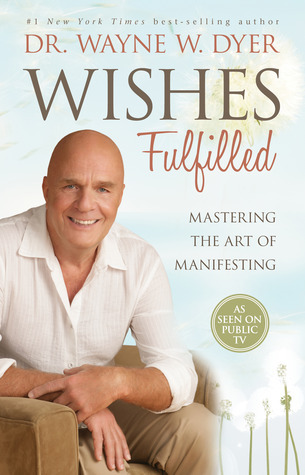 Wishes Fulfilled: Mastering the Art of Manifesting by Wayne W. Dyer – In loving memory of a great guide, great thinker and great human being. Since I’ve started writing I have been told to tell the stories that I am most passionate about. I have been chatting my good friend’s Bruno ears off for years now and I am still going strong, but I’ve been also listening to him and his advice. Since we’ve met in a very unusual way (but that’s another story), I feel richer and fuller, more hopeful and I became a bigger believer than ever before. So thank you Bruno for being my life coach, my friend, my wise man, family. The best compensation for all your hard work, your generosity and your friendship is to give you my most sincere and heartfelt, pure and honest love. God Bless you for being You. This story is about Bruno, about me as much as it is about our beloved late Dr. Wayne Dyer. I am very passionate about this story because it has been continuously changing me since I discovered this wonderful person’s work through my conversation with the very best guide from darkness to light that is my friend Bruno. This column is meant to be a surprise for my friend and as I never asked his permission to reveal him to the public I will keep his first name but won’t reveal his last name. Thank you for understanding. Maybe one day you will be lucky enough to meet him. There were many occasions in which Bruno quoted Wayne Dyer. Maybe I am slow on the input, but once I catch the meaning and the reasons behind certain references I am like a dog with a bone. This is exactly what happened with Wayne Dyer’s movie The Shift and the same happened to me after reading and re-reading Wishes Fulfilled… I am the best guard dog there is. No one can take this bone away from me! It is funny because after reading and re-reading the book I felt a “shift” inside. I got and “aha” moment, an “eureka”! My first reaction was to let all the concepts climb the walls of my mind and set me free of many learned ideas. Dr. Dyer asks us to set our mind free of what was learned, what was taught to us and get out of our pre-formatted brain. Oh boy, if you only knew how much BS. we learned through the years without even thinking about it. You’d be very scared. We’d need a huge vacuum cleaner to unglue all the nastiness that has been flooding our mind since day one! It’s not even funny! N.B. I want to stop you right there: if you don’t understand the concept, you have no clue what I am talking about and you are feeling belligerent after reading this passage, just save yourself the trouble of reading more. You don’t get it yet and it’s fine but some of us do and we need an outlet for this kind of discussion. Have you ever asked yourself if what you have been taught is really that useful for you? If not, this is a good occasion to seek a potential solution that doesn’t involve you being a martyr for the rest of your life because, “hey” this life is not a test. It is what it is and there is no way, for now, to re-write what has been already written so far. The good news is that we still have today as about tomorrow even if it is not guaranteed (as Dr. Dyer says) there are strong chances that there will be a tomorrow. Best news ever! Right? All is not lost. You still have a chance to “change your mind”, literally! 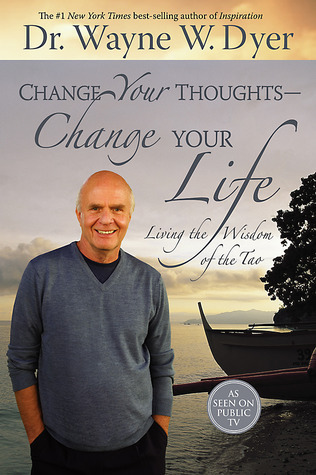 Dr. Wayne Dyer is encouraging us to do so and he’s leading through his own example. I feel you need convincing to get the book and start reading. There are several reasons why this wonderful person’s work is a must read. 1. His written work and audio-books are sold but there are plenty of recordings that are totally free of charge and accessible to everyone. 2. He never pushed his beliefs or thoughts on anyone, quite the contrary, people were seeking to meet him and learn from him, wherever he went. 3. There is no “special package” on sale with miraculous solutions for your problems asking you to pay or money back guaranteed as so many people do nowadays. 4. Every point he makes is at least stimulating our minds to give it a thought if not quite a revelation. 5. His work is based on personal experience but also a lot of reading and research. The quotes are on point. 6. It’s easy to read and to understand (no matter what your native language is). 7. I truly believe that by reading his work, by listening to his seminars, by watching his movie you too will feel hope, healing, wonder and joy. There are so many reasons for which you should jump on the occasion to open and change your mind and your preconceived thoughts that I don’t even know where to start. The main idea is that if you need something to change in your life, if you feel that things haven’t been going as you’d like them to go, if you feel like missing out on something big but you don’t know what and how to get there, here is a chance for you to stir some thoughts around until they settle in the right place at your convenience. I can’t tell you exactly how long it takes from reading this mind freeing book/ books until you arrive to your destination but at least I can guarantee you that you won’t feel stuck in the same loop you’ve been struggling with until today. Dr. Dyer spelled it out for us in the book Change your thoughts, Change your life. It can’t get any clearer. What does he/she have that I don’t? Why? Your thoughts about life, your life, are influencing the reality in which you are living. Haven’t you heard before that it was crazy to repeat the same reaction to a thing and expect change? Well this is exactly the same and when I repeat Dr. Dyer’s incentive to change your mind I am not talking about thinking of loading the washing machine and changing your mind and taking the clothes to the dry cleaner’s instead. We both think about literally changing your mind from the learned lessons to a new approach on life. You were taught that by working hard you will get everything you ever wanted. Hard work equates with success. Do you feel successful right now? Do you feel richer just because you have been carrying on loads of responsibilities and juggled a couple of jobs all your life? If not… well change your mind. This lesson hasn’t been very useful for you until now and it may never be. Have you ever been taught that good manners and a crisp elegant outfit will get you everywhere and anywhere? Have you been taught that in order to find love and a partner for life were guaranteed if you were kind, good looking, honest and knew everything about how to keep a household? Have you ever been taught that in order to be recognized and appreciated you needed to go to school, learn, get degree after degree, even write books, appear on TV…? Let me ask you something: how much of what you have been taught has lead you to fame, success, love, wealth, harmony, peace, etc.? How many famous, rich, well known people on the planet have done less or differently than you and have what you have been taught that you deserved? Of course you deserve it. Everyone deserves to be happy. Everyone deserves to be awarded with great things for their hard work. But… how many nice, kind, intelligent, hardworking, honest, empathic, giving, beautiful people do you know to have gotten at the top of the mountain without all that work-out that you are struggling with every day and you still don’t succeed? I am sorry to be blunt, but those successful people aren’t there because all those beautiful values they were taught. Early on they found out that if they changed their mind or if they didn’t give any credence to those lessons and work it out on their own they’d have a different outcome in life. So they did it differently, they did the opposite even. I’m not saying to forget about common sense and common courtesy, neither did Wayne Dyer in his books. But there is something to it that is worth exploring. I’d bet on a different mindset, values, priorities…etc. In Wishes Fulfilled… Dr. Dyer tells us that “we are God”. I came to the same conclusion by talking to my friend Bruno. Since we are aware of our existence in this life, we were taught that God was something out there, out of reach, a power that throws things at us and lets us stir in our well-deserved struggle because, surely we have done something wrong for which we have to repent and make up for , from this life or another. God is depicted as a “Big daddy” that knows all our misdeeds and sanctions us at every turn, punishing us any and every time he feels like doing so. What if that wasn’t true? What if, for example God was not a sort of “big brother” with an all knowing eye set on getting us for… basically everything we do? Isn’t it an unfair assumption that the greatest power of all is there just to inflict pain and teach lessons the hard way? That’s the ego talking. What if, instead of putting labels and draw pictures of God as we imagine Him from what we were taught, we try instead to imagine that God is and energy, the purest light of all, it is love itself and lives in each and every one of us as our spirit. What if our soul, our spirit is a spark, a speckle of the divine light that lives now as a human but also transcends this experience called life on Earth? Why would we give so much credit to a certain theory (the scary one) and not the other (the peaceful and loving one)? For centuries and more often for the last decades, more and more people point out that what we were taught is complete nonsense. Some people relate some very poignant personal stories about their experiences with what we generally call God but we can name Him however we like. The name is not an issue, not for Him/Her/It nor is it for us. The least of our problems is to find the proper name for the energy that animates us, makes us bond with each other, feel and experience this span of time called human life. They are all present in Dr. Dyer’s books and in an endless sea of literature. Why aren’t they as popular as Elvis, Steve Jobs, Donald Trump or George Clooney? I’ve been surfing the internet looking for the famous lists/ tops related to great thinkers of the 20th century and 21st century. The answers are astonishing. It matters because those names are the people we relate to. Their books are the ones we go to if we want someone smarter and wiser to show us the way. Let’s have a look: Steven Hawking, Albert Einstein… a lot of writers, a lot of inventors focused on productivity and modernism…and so on and on… the lists are a mash-up of what is an obligatory reading for the University and other very bright characters that should be known but never did a thing to change our lives. And then I fall off my cloud on a website that names Mao Zedong as a great thinker. I came to a screeching halt. This isn’t right. But it is so very true. One Donna Scott, considers that in order to get a Bachelor’s degree online you need to know Mao Zedong…because hey! Among all the bright thinkers that graced this wonderful planet, Mao should be at least in the top 50 (of all times). This was so shocking that I digressed into another territory that deserves at least as many characters on a page as the current subject at hand. I wonder how long must we wait for Dr. Wayne Dyer to arrive on such a list? He would not care for sure, because his mission in life was to make life the only mission. But still! I am shaken by what people think is relevant. The unmentioned scientists of this century and before, have fought the good fight and the ones still alive still do this tremendous work of looking into facts that really matter. They are nameless and unheard of for the great majority of the population. In fact I don’t know them either because we have Mao Zedong to think of before joining the really great party of the elite thinkers and scientists. Could we skip Mao just like that? “Yes we can”! I bet we could all live forever without knowing Mao’s “great achievements” or that of his fellows. But I am off the track here. Have you heard of Brain Plasticity, the rewiring of the brain? Good for you if you have. Most of the geniuses working on mapping the brain, learning its multiple functions and how to effectively change our mind by creating new connections of our synapses are deserving of more than a footnote on a hidden page. 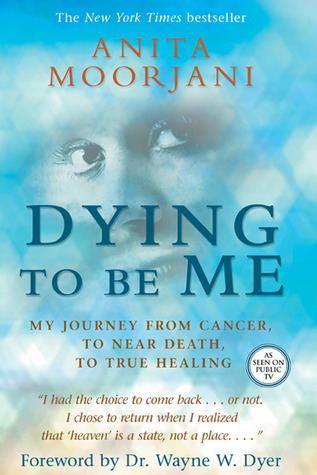 Dr. Dyer’s work should be correlated with such a study in order to prove once and for all that changing the mind is not only possible but it has already been done by many people who changed their dire diagnosis (in many dreadful diseases) to a sparkling bill of health by getting out of their former ways of thinking and redirecting their attention towards their goals without doubting of their miraculous Godly essence. Change your mind people! It is not too late. Not now. Not ever! P.S. After being shocked, as I wrote this article, by finding Mao on the short list of great thinkers, I was astonished by how vastly my mind has been corrupted by information that didn’t belong there. I remember that for an exam at the University I was promised the top grade if I was to read the Intellectual Origins of Leninism. I refused to do it. I didn’t get the best grade, of course. Thinking back, I realize that, that information is one less head bug I need to clean out of my system forever. Thank God for small miracles! So I am taking the shovel and taking out the trash, so to speak. Nobody said it was easy but nobody said it was hard either. It’s time to change the mind by inserting a little nugget of wisdom that should remain on top of our cleaning list: The God I chose to believe in is in me, all around me, in you and all around you. The God I chose to believe in has already given us the miracle of life and keeps on giving even if we give up on ourselves. 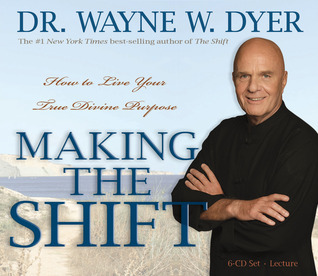 Acest articol a fost publicat în Cultura, Educatie, Idei, Spiritualitate și etichetat cu #better, #change, #healing, #health, #life, #mind, #now, #purpose, #spirituality, #thoughts, #waynedyer, #yeswecan. Salvează legătura permanentă.